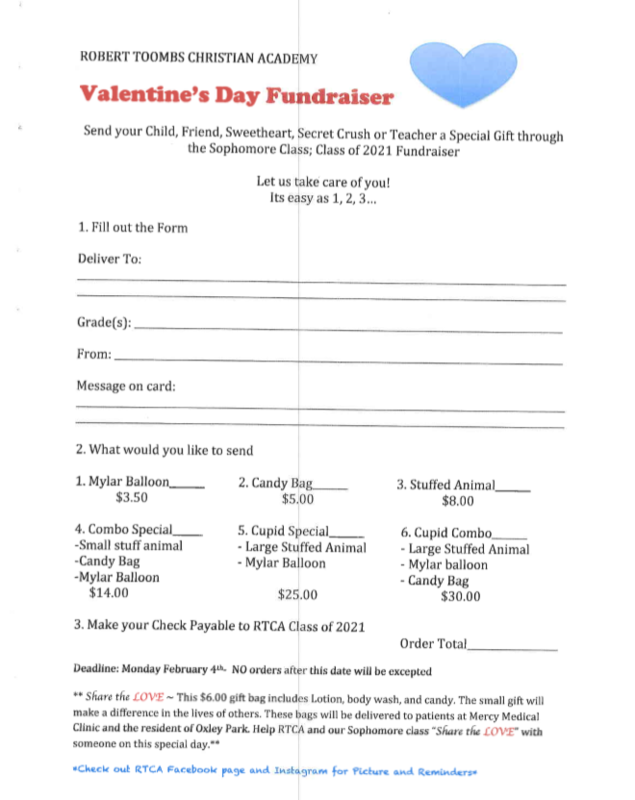 Early CUPID Special: order by FRIDAY, JANUARY 25TH and receive a $1.00 off each order you send! Please turn in all forms to the Front Office by February 4th! !